Very lovely ladies and such a welcoming atmosphere. 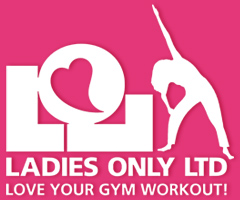 If you want results then this is a fantastic ladies gym. I really enjoy going to the gym. The staff are friendly and make you feel welcome. The staff are lovely and make you feel welcome. The classes are hard but worth it. Sinead is very good at what she does! as are the other girls at ladies only. Lovely experienced trainers (especially my awesome Sinead who never fails to motivate me through my numerous depressions!). Really miss you guys but the USA is good for me – down to 11st 5 lbs with very little exercise! Lovely gym to go to. The girls know their stuff and make you feel welcome. Always a smile to greet you. Was very conscious going to gym but come to ladies only gym I have nothing to worry about . It’s helped build my confidence. I love it and would never think about going anywhere else. Great atmosphere and friendly stuff! I love going there as I know I will have a great time and fit body.